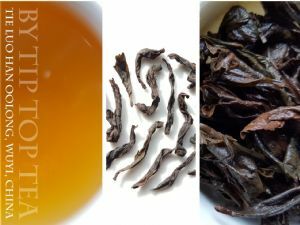 Flavour profile: Smoothly warming, clean and savoury this oolong combines flavours of biscuit richness and mineral complexity wrapped up in a subtle charcoal bake. This evolves in subsequent infusions to soft fruitiness with a clean savoury & satisfying finish. Leaf: Large dark brown wrinkled leaves with a bronze shimmer & sweet fruity baked savoury biscuit aroma. Blow your hot breath on some dry leaf & be amazed by the intense sweet and spicy fruit aroma that arises! Origin: Wuyi Mountains, Nanping region, Fujian province, China. Background: Tie Luo Han is one of Si Da Ming Cong - the four great Wuyi Oolongs. The name is often mistakenly translated as Iron Warrior but in fact originates from the Sanskrit word Arhat (Noble one). Tie means Iron and refers to the rusty colour of the finished leaf. So the name should translate as 'Iron Arhat'. In this light it describes disciples who have achieved enlightenment in the way of the Buddha, and legends tell that the tea varietal originated outside the cave retreats where these monks resided. We cannot guarantee such spiritual aspirations will be attained if you drink this tea, however feel it can't but help! Tie Luo Han is typically oxidised from 40-50% and ours is medium-high fired. 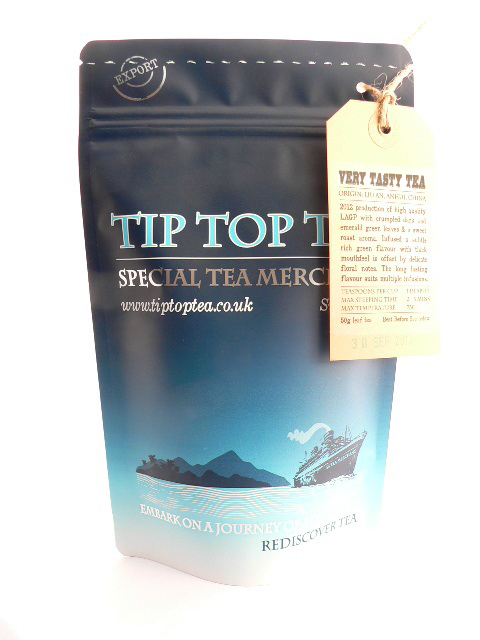 It offers a great introduction to Wuyi teas, and now 3 years old it is ageing nicely. Quality Wuyi oolongs can be aged if stored properly (cool, dark & dry) for many years. Wǔ-yí oolongs are traditional teas grown and made in the Wuyi Mountain chain of north-west Fujian Province. Aka Yancha 'rock oolongs' due to the rugged rocky mountain outcrops with challenging farming conditions but reknown terroir. 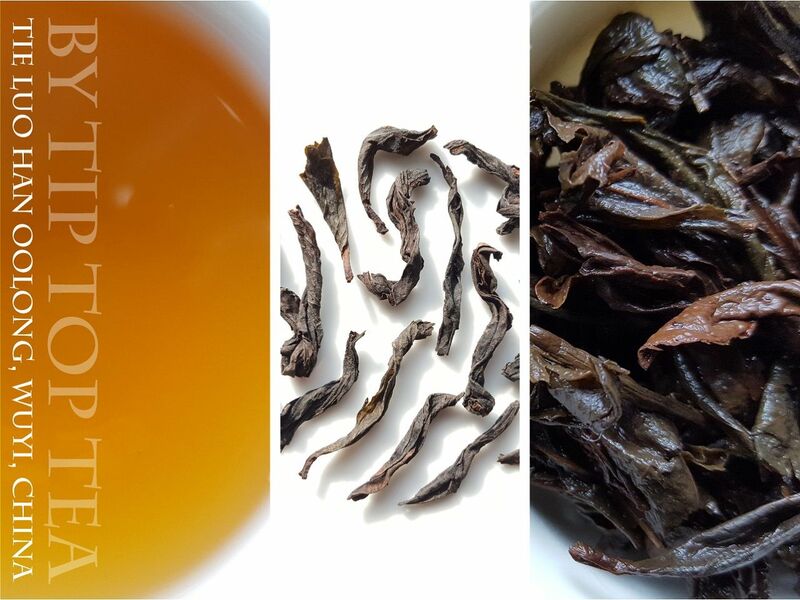 The variety of cultivars from the Wuyi region are typified by complex profiles well suited to repeated infusions to experience the many layers of flavour. They are favoured for their bold flavours that come from the aggressive production style and usually high firing. Brewing guide: We recommend you try infusing this tea using the Gong-fu cha style in order to appreciate the layered flavours! The idea is to use about double the normal amount of tea with approx 150ml water, concentrating the aroma and flavour. Try using 5-6grams per 150ml @ 99C repeatedly steeped for short periods, eg. 1min30s, 2minutes, 4minutes, 8minutes. To work ideally, you really need a small teapot, gaiwan or teacup with a lid. For western style use 3.5grams per 250ml, brewed at 99C for 2-3mins. This equates to about 1 heaped tablespoon. Even brewing this way, the leaves easily do 3 infusions, each different but as tasty as each other! Water should be caught just under the boil.